A mobile using thin, elastic stainless steel wires as its structural framework. The part at the bottom end of the mobile acts as a weight and conveys the gravity throughout the six (6) building pieces of steel wires, resulting in the unique shaping of the mobile. 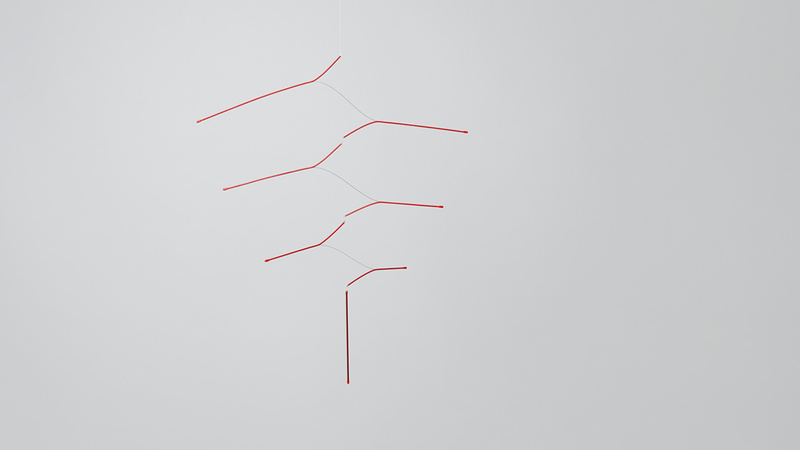 It’s a mobile in which the gravity unfolds its own shape.